I spent a month interviewing coaches in Seattle and then found Mara through my network. I’m glad I did. This recommendation covers the 18 months we worked together. 100% tailored to me. I never felt Mara was using a script or template. She was 100% anchored to my goals. Goes the extra mile. Mara delivers over-the-top value. I never felt like I was “on the clock.” She would check-in via email, share an article, text a reminder. Accountability with compassion. Mara held me accountable in a way that worked for me. She wasn’t afraid to call me out on my B.S. and knew when to step in and offer guidance. I’m calmer, more centered, more grounded. I’m more patient, more flexible, more forgiving. I’m a better leader at work and a better husband and father at home. I've successfully transitioned from 20 years in Corporate Marketing to a new Chief Marketing Officer role at a non-profit. I learned to lead with my head AND my heart. I’ve become a more authentic, compassionate leader and found a path to pursue my passions outside of work—writing and teaching. If you are looking for an Executive Coach, I strongly recommend Mara. When I first engaged Mara Vizzutti of New Avenue Leadership I was looking to learn to lead. I wanted to be a stronger communicator and a facilitator of positive change and influence. I wanted to be an enabler of thought and change for my team. I wanted to instill a sense of passion for something better- whatever that meant to my team members. Working with Mara I was able to bring out a lot of change in my approach. She allowed me to find answers and create dialogue that met my goals. She was very committed to goal setting and had a careful stepped approach to change. It was hard work- and I continue to work at it everyday based on the skills she supported me to think about. I still have a lot of work to do but each month I saw change and had ah- ha moments. I have felt more skilled at creating time for people to support their journeys, in an environment with enabled excellence in a positive work-space. I was able to slow down and be in the moment. Mara promised at the beginning that change can be hard and that you do need to commit to work at change, but if you commit; if you can be “all in” – the experience and the impact is awesome. I have been offered and have taken advantage of an abundance of training and learning opportunities throughout my career, by far the time and financial investment in my coaching with Mara was the single best development value. When I began working with Mara Vizzutti of New Avenue Leadership, I was simply hoping to learn new ways of motivating and engaging a group of technical employees. In the time that I have spent with her as a corporate coach, however, I have learned much more than this. The coaching sessions with Mara have provided me with insight into leadership strategies of many kinds, and most importantly have given me a true appreciation for the importance of self awareness in good leaders. 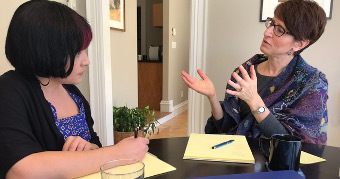 Mara is an amazing coach – her approach is very open and comfortable, and sessions with her feel more like good conversations than formal coaching. Mara is constantly able to adapt to the challenges that I may be working through at the time, and is ready to tailor the focus of our coaching sessions in a way that provides the most benefit for me. It has been a pleasure working with Mara, and I look forward to continuing the working relationship with her. It is a privilege to work with Mara and be in her presence. She is an exceptional coach and an amazing woman. Through her uniquely designed program and by providing her own wisdom, authenticity, experience and inspirational voice, Mara lights the way on an astonishing self-discovery journey that is empowering and transformational. Her mission really is about change and growth 'from the inside out’. More specifically, it is about encouraging others to recognize, reclaim and embrace their whole selves, get clarity on what makes their heart sing, and then create a life that honours these truths. And, it works. I am a better version of myself and my life is richer because of this experience. As a result of our work together, I feel confident in my ability to create an even more fulfilling, successful and meaningful life that is underpinned by what I'm certain is most important to me. If you have the opportunity to work with Mara, you should. She is the best gift you could ever give to yourself. When I engaged Mara Vizzutti of New Avenue Leadership, I was looking to grow my leadership skills to a higher level. Our business had grown significantly in the last year and I wanted to experience more balance in my workday. I also wanted to carve out more time to focus on our clients and staff. I was really pleased with the results, especially in the fact that I have grown professionally, particularly in my ability to delegate. I’ve learned how to be even more effective at empowering, valuing and supporting my staff. And I see how the results are supporting even more engaged, cohesive teams. As a direct result of working with Mara, I now experience more calmness and a sense of peace and balance in dealing with my day to day affairs. I would recommend Mara Vizzutti and New Avenue Leadership to any business leader wanting to grow in their role to be their best and most effective self. Everyday I aspire to be the best person I can be to ensure that everyone in my organization is positioned for success. Mara is an experienced leader with great compassion. Her insights have been invaluable in this transformative process. This shift in leadership is allowing me to keep the spotlight on our staff, making them shine. I am there for them and for our clients. One of Mara’s great quotes will always stay with me: "Aim to be interested rather than interesting." Thank you Mara! When we engaged Mara we were looking to develop some of our young talent and provide them with the foundations in coaching their people (essential people management) to enable them to be successful leaders within our organization. I was really pleased with the results, especially when some of the participants immediately put their new found coaching skills to work and ended up with very positive outcomes. Many eagerly anticipate the monthly opportunities to chat with Mara one-on-one – it really keeps them focused on use of the new skills and motivated to improve in their coaching abilities. As a direct result of working with Mara we found that some managers have been set free from their old ways of doing everything themselves – delegation and coaching has put wind in their sails for sure! My experience of Mara as a facilitator or coach is she makes the art, science and language of coaching very easy to understand and apply. The little theory and maximum practical/practice approach resonated well with the participants. Mara’s approach to coaching training in my organization has been a breath of fresh air! The essence of the program is to allow our talented managers to be even more effective and efficient in what they do, by engaging their people more openly, directly and transparently – and it works! I highly recommend the facilitation skills of Mara and the program Navigational Coaching – Strategic Coaching Skills for Leaders. And most importantly has helped me stay on track and focus on the bigger picture. Mara has been an invaluable coach and sounding board. We have accomplished a lot already, and I really look forward to working with Mara to achieve and quite likely exceed the goals that we set. ~ Michael Eakin, P.Eng, President, Eastin Projects Ltd. When I engaged Mara I wanted to provide training that would meet the needs of our professional staff and improve the way our project teams both provide and receive feedback. I was really pleased with the results, especially with her presentation that was suitable for both our entry level and seasoned employees; everyone was engaged! As a direct result of working with Mara of New Avenue Leadership we participated in learning which enhanced the performance, goals and competencies of our staff. I recommend Mara Vizzutti and New Avenue Leadership. Mara has an effective facilitative approach for delivering her seminars. When we engaged New Avenue Leadership we were looking to enhance the personal and professional leadership skills of an already strong and dynamic management team so they could be more comfortable in their roles and in turn, better manage our business. We chose Mara Vizzutti and New Avenue Leadership because of the proven track record of her success in achieving results. She inspires and motivates people to expand their comfort zones so they may operate in new territory and develop more self-confidence in the process. We were really pleased with the results that Mara produced. She was able to inspire our people to buy into new concepts, develop a strong appetite to learn new approaches and hold accountability for results. As a result of our sessions with Mara, we now find that our people understand what it means to be better coaches. Our people are more comfortable in managing and directing their staff while still earning their respect. Personally, as a business person, an elected official and an IronMan triathlon competitor I have benefited greatly from Mara’s “One on One” coaching in all areas of my life. She has taught me that by celebrating the small victories and by owning my results, whatever they may be, I can rise up, operate out of my comfort zone and overcome bigger challenges in life. I would recommend Mara Vizzutti and New Avenue Leadership to any organization seeking to enhance leadership development skills including how to more effectively engage your people, build confidence in others and create buy-in and a more positive and productive work environment. I would recommend Mara Vizzutti and New Avenue Leadership to anyone looking to create a more productive, fulfilling and successful professional and/or personal life. I attended a one day course with Mara to help me improve my communication in a team environment and learn how to be more effective at motivating people in the workplace. It has been very helpful. The feedback from my managing partner has been very positive and he has seen a change in how I deal with things in the office for the good. He has seen improvements in my interactions and I feel that I have become much more effective. I recommend Mara as an excellent resource as part of any leadership development initiative. When we engaged Mara Vizzutti of New Avenue Leadership we were looking to find a sustainable approach to effective delegation, to identify fresh ideas & solutions towards managing activities in demanding business environments and to re-define easy to use Best Practices for building strong durable Teams, and ultimately to improving the Work-Life balance. I was really pleased with the results, especially given the complexity of changing historical habits and work practices that are in many ways no longer applicable to today’s busy work environment. 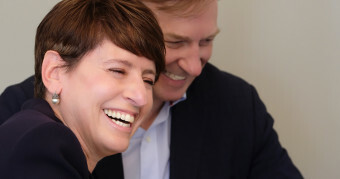 The framework for change, the forward-thinking models for success and the Coaching provided by Mara Vizzutti of New Avenue Leadership has resulted in very favorable outcomes and has created the rationale for individual and team thinking that breathes new life to the word "success." As a direct result of my session work with Mara I found that changing habits and building a stronger Team was indeed achievable. Yes it takes personal commitment, yes it requires personal resolve to change, but the methodology just made sense. The work we did together made the transition easy. I would recommend Mara Vizzutti and New Avenue Leadership to companies and professionals who desire a sustainable approach towards building strong and flexible teams through effective delegation of tasks. Also, to professionals who wish to develop their own skills in the areas of Coaching as well as prioritization of workload. And for anyone who is challenged in the area of Work-Life balance. The team building and coaching facilitated by Mara Vizzutti of New Avenue Leadership contributed to many improvements in the Production and Supply Chain areas at Farmers Dairy. Key to these improvements were Mara’s workshops and coaching sessions, where we developed and implemented a strategy to address the much needed cultural shift toward a stronger team approach to problem solving and the establishment of better working relationships. These relationships are now underpinned with mutual respect and a better understanding of one another’s roles. ~ Cindy Brown, Operations Planning Manager, Farmer’s Dairy Inc.
Mara is easy to talk to and her style is very open~ she customizes her approach based on my needs. She has also helped me to see the importance of balance, taking scheduled breaks at work to eat healthily and manage my energy more effectively. I look forward to continued success working with Mara in the months ahead! One of the great things about Mara is she has an innate ability to help you uncover what is already within you that is great. What Mara brings to the coaching relationship is a unique blend of personal authenticity along with a genuine interest in your well-being and development. She truly makes it about you and your journey, and deciding to work with Mara has been one of the smartest decisions of my life! Working one on one with Mara has kept my focus on the key aspects of my business growth. Over the course of the last year my business has grown by over 20% in certain key target areas, and ~ exceeded that in others. Through many unplanned events and occurences, a steady dialogue has kept me focussed on the top priority items, and even allowed me to uncover new and unexpected opportunities. Mara is even better than I thought she was! The follow-up support sessions I had with Mara after I completed The Coaching Clinic® program were a wonderful learning experience for me. Mara’s coaching lead me to self-awareness and acknowledgements of my natural strengths and abilities, as well as leading me to discover the choices for action that I could take to tackle a particular problem within our team. My conversations with Mara were so thought provoking and engaging that time just flew by- Mara coaches effortlessly! The team building/change management workshop exceeded my expectations, everyone enjoyed the session and we are looking forward to future workshops. While I anticipated that incorporating the coaching process into our team’s current management style may meet with some resistance, Mara had all participants quickly won over based on the value of the coach approach. The Coach Clinic served us well both as an excellent growth opportunity for our employees and in productivity gains for our now leader-coaches. Mara had the team fully engaged, and we had fun together which was a bonus! I have the opportunity and privilege of working with Mara over the past two years. She has helped me to be very specific in what I want to achieve in both a professional sense as well as my personal goals. Each of our sessions began with a clear idea on what it is we were trying to achieve. It is my belief that clarity is power and Mara delivers on this. She has a wonderful sense of empathy and intuition. She reads people very well. I am very appreciative and grateful for the opportunity of working with her. Mara has facilitated a number of very powerful and meaningful workshops for our employees and we were all so genuinely impressed by her very sincere, creative, dynamic, engaging, and articulate communication style. Passionate about her work, Mara relates so well to people from different generations, different backgrounds, and different work environments, etc. Mara’s coaching is truly inspiring, empowering and thought-provoking. As a very gifted and experienced facilitator and coach, Mara can take you on a learning journey that provides participants with a greater sense of clarity and purpose-! I’ve attended Gems for Life, the Life Mission seminar and have received coaching from Mara. Gems provided an excellent opportunity for me to assess & recognize what works & doesn’t work well in my life, and presented some very useful tools for building more effectiveness into my personal & professional life. The Life mission course is one of the most powerful experiences I have ever had. It has supported me to be clear about and aligned with what is most important to me. It helps me to make better choices in my life. Mara is a gifted facilitator. She has the capacity to help bring out people’s unique gifts and authenticity which they are longing to express. Mara inspires me to be all I can be. She helps me gain insight into my feelings and supports me to see perspectives that I had not considered before. My experience of working with Mara as a coach was easy and honouring, I felt both challenged and accepted. After working with Mara I was better able to create the life I wanted. I challenged myself to do things I otherwise would not have done. What Mara brings to the coaching relationship is her passion for supporting people to create a life worth living. Mara cares deeply about people and holds that we are capable of achieving, as well as deserving, all that what we desire. Mara is one of the outstanding talents I’ve seen in my fifteen years training facilitators. I have always admired her courage, her honesty, her determination to be great, her sensitivity to others, and I am charmed by her showmanship and style. Mara Vizzutti is an extraordinary coach, facilitator and educator. She exemplifies the values and life purpose for which she stands. Her deep connection with others, her integrity and emotional courage are all evident in her life and in her work. Mara’s commitment to a healthy balance and compassionate relationship underpins an enviable primary relationship as well as other personal and professional relationships.